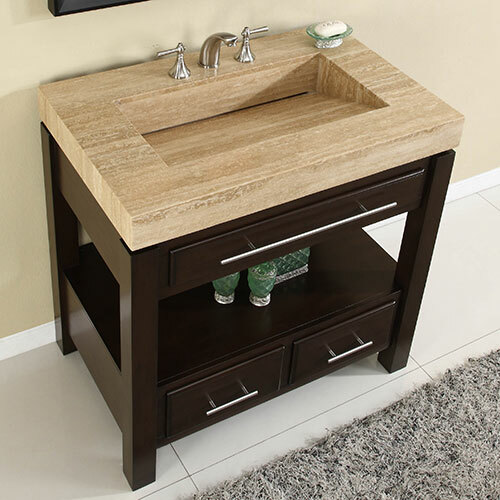 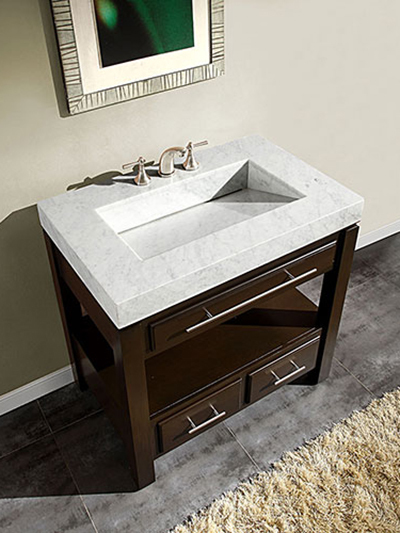 With a beautiful integrated White Marble or Travertine counter top and an exquisite, yet simple cabinet, the 36" to 56" Aguila Single Bath Vanity is perfect for creating a look for your bathroom that's all its own. 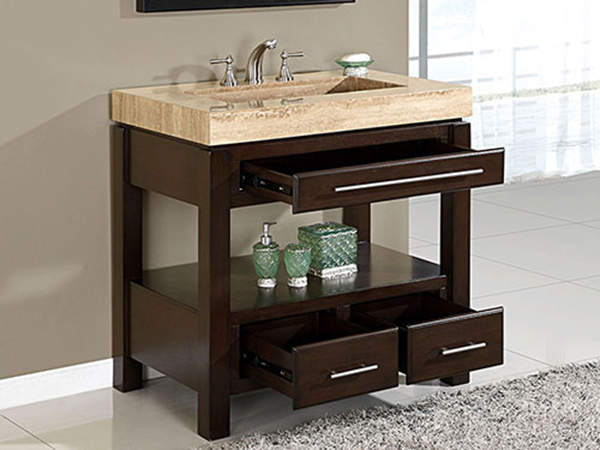 The cabinet features a distressed design, that also provides two small soft-closing drawers of storage space and a central shelf that's perfect for housing your clean towels. 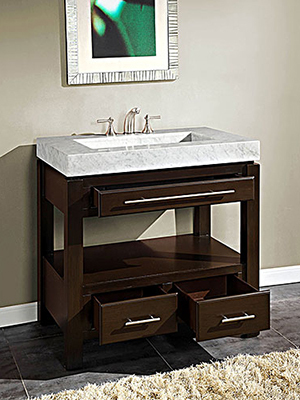 To accentuate the front of the cabinet, shimmering metal handles deck each of the drawer for a look that is truly modern!